Indiana officials say 2018 was a record year for small business growth in the state. The Indiana Small Business Development Center and Indiana Procurement Technical Assistance Center helped launch 318 small businesses and secure $86.3 million in government contracts for Indiana businesses, respectively, in 2018, according to the state. Together, the Indiana SBDC and Indiana PTAC assisted small businesses in creating 1,554 new jobs. The Indiana SBDC offers a one-stop shop for entrepreneurs looking to start and grow a business, delivering no-cost, guidance and resources ranging from business planning and valuation to export assistance and market research. Through its network of 10 regional offices across the state, the Indiana SBDC registered 2,266 new clients – the highest annual totals in the organization’s history. The state said of the 318 new business starts, 41 percent are women owned, 19 percent are minority owned and 5 percent are veteran owned. Together in 2018, Indiana SBDC advisers helped entrepreneurs and small businesses create 1,265 new jobs, up 20 percent from 2017 and generate $97.9 million of capital infusion, which is a 9 percent increase from 2017. 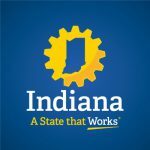 The state said for every dollar spent on Indiana SBDC services, $21.88 was earned or returned in various forms of capital infusion to small businesses. The Indiana PTAC helps Indiana businesses compete for and win federal, state and local contracts. With free, one-on-one counseling, resources and training across its five regional offices, Indiana PTAC counselors registered 382 new clients, a 15 percent increase from 2017 and helped secure 3,078 government contracts – which is an 805 percent increase from 2017. The state said the $86.3 million in government contracts secured in 2018 was a 174 percent increase from 2017 and created 289 new jobs, which is a 36 percent increase from 2017. The state said in 2018, 78 percent of the Indiana PTAC clients assisted were either women-owned, minority-owned, service-disabled veteran or veteran-owned businesses. For every dollar spent on the PTAC network, $110 was earned or returned in contract dollars awarded to small businesses, according to the state.